 I would very interested in making contact with any freedivers in India or its surrounding areas. I have visited India but didn't get to the coast. I would love to go back to India to dive. I haven't been south of Delhi yet Sara but I would love to see alot more of the country. I have contacted Tamoshee. We will see what becomes of it. Considering coming to India if the rains are too heavy in south east asia the next few months, so if so maybe we can hook up, I heard Goa is ok but nothing special but there must be a few little cheap fishing village gems hidding away on such a huge coast. Wish you best of freediving times and good vizibility, which i learnt is the main issue in the Indian waters. Unless you get to the off shore islands (e.g Andaman and Nicobar) the inland viz is normally poor, at least that what i saw (in fact didnt see much) in Goa around the same time of the year. But maybe further down south in Karale it will be better. I spend half the year in the Andaman Islands and in the last season have met a couple of spearfishermen who amazed me with the fish they came up with. Since I spend tons of time out on the water I plan to start trying some next season. I had a chance to go out a couple of weeks ago but the Cyclone that narrowly missed us ruined all plans. There's an amazing amount of fish, so I know where they are it's only a matter of getting down to do it. Will post if I ever manage to. I am based in Delhi and was wondering too, where to freedive (and scuba dive). So, if anyone is interested and/or has some more suggestions, drop me a line! I am a passionate underwater rubgy player as well (best sport in the world, by the way . Are there any other current or future players in the country? Hey are you still in Delhi? I may be moving there later this year and would be interested in playing underwater rugby. Following up on the thread as well : I am moving to Delhi in August, and was wondering where to freedive on a regular basis. Athompson, I don't know underwater rugby, but willing to try ! Did you have any luck finding a free diving club? No, I have not had any luck finding a free dive club or underwater rugby. I move to Delhi in January 2019 so you will have a head start finding some divers. Let me know what you find.